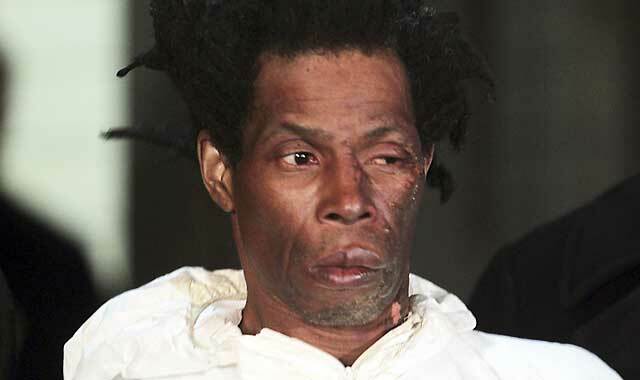 JEROME Isaac has been charged with the murder of Deloris Gillespie in a New York lift. Jerome Isaac has admitting to spraying Ms Gillespie with petrol before setting her alight. The killing was captured by surveillance cameras. Deloris Gillespie was holding her bags of groceries as she returned to her Brooklyn, New York. At 4 p.m. on December 17, the lift doors opened and 47-year-old Jerome Isaac appeared. He was dressed as a pest controller. He sprayed Ms Gillespie with accelerant. He then lit aMolotov cocktail and tossed it towards her.